Ooze confidence this season with LUCY crafted by Daisy Dixon. Perfectly rich autumnal leather straps are complimented by tonal sunray dials with an elegant floral print and the signature daisy marker at 12-hour. What's a better way to your style? 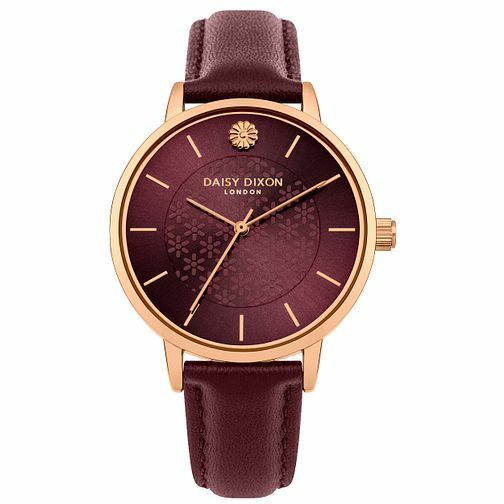 Daisy Dixon Lucy Red Leather Strap Watch is rated 5.0 out of 5 by 1.